What is biblical exposition, and why is it so central to our gathered worship? These are the questions we’ve been exploring in this blog series. So far we’ve looked at what exposition is, namely, the kind of sermon where the message and aim of the sermon are controlled by the message and aim of the biblical passage being preached. 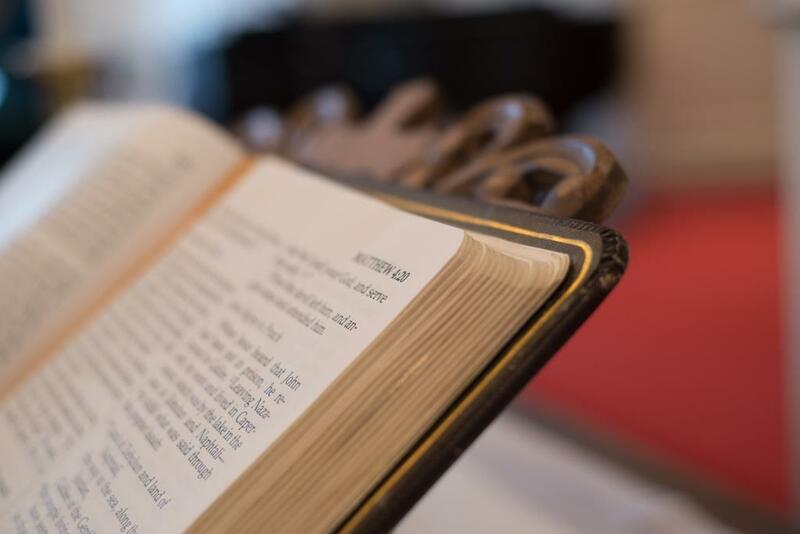 We’ve also looked so far at two reasons why it’s necessary for the life and health of our congregation: exposition reflects a healthy doctrine of Scripture, and respects the God-given shape of Scripture. We’ll consider one more reason in this final post: biblical exposition is essential to the pastoral calling. The pastor’s calling and responsibility before God is to shepherd the flock under his care (cf. Acts 20:28; 1 Pet. 5:1-4). Among any shepherd’s key responsibilities is feeding the sheep. The priority of feeding God’s sheep with God’s Word is seen throughout the New Testament. Jesus charged Peter in John 21: If you love me, feed my sheep (Jn. 21:17). The apostles created the deaconate in Acts 6 in order to keep their focused attention on prayer and the ministry of the Word. “And the twelve summoned the full number of the disciples and said, ‘It is not right that we should give up preaching the word of God to serve tables. Therefore, brothers, pick out from among you seven men of good repute, full of the Spirit and of wisdom, whom we will appoint to this duty. But we will devote ourselves to prayer and to the ministry of the word’” (Acts 6:2-4). In Acts 20, Paul summed up his faithful ministry to the Ephesian church, even as he charged the elders to care for the flock, saying, “Therefore I testify to you this day that I am innocent of the blood of all, for I did not shrink from declaring to you the whole counsel of God. Pay careful attention to yourselves and to all the flock, in which the Holy Spirit has made you overseers, to care for the church of God, which he obtained with his own blood” (Acts 20:26-28). Biblical exposition is at the heart of the pastor’s calling. It’s the one venue God has given us to feed the flock together, as one Body. Preaching is not everything the pastor does. But as shepherds who are called to feed the sheep, it’s the central thing we do. And everything else that we do is connected to it in some way to it. As a friend of mine likes to put it, the pulpit is the pivot foot a pastor’s ministry. The leadership we provide, the counsel we offer, the training and equipping we do, our discipleship and care ministries—it’s the Word of God preached faithfully and clearly that gives direction and momentum to all our other ministry responsibilities. Exposition is hard work. It takes time. But no pastor can afford to neglect the priority of the preached Word of God. If we pay attention to a sound doctrine of Scripture, if we take seriously the God-given shape of Scripture, and if we therefore want our pastors to be faithful to their calling, my deepest conviction is that exposition is at the heart of pastoral ministry. The life and health of our flocks depend on it, because they depend on God and his Word.